Nearly 3,000 licences have been issued allowing protected species in Scotland to be killed or disturbed including hedgehogs, mountain hares and birds in decline. New figures reveal that in 2018 the government’s wildlife agency, Scottish Natural Heritage (SNH), issued 2,890 species licences at a cost of £450,000 to the taxpayer, prompting criticism. 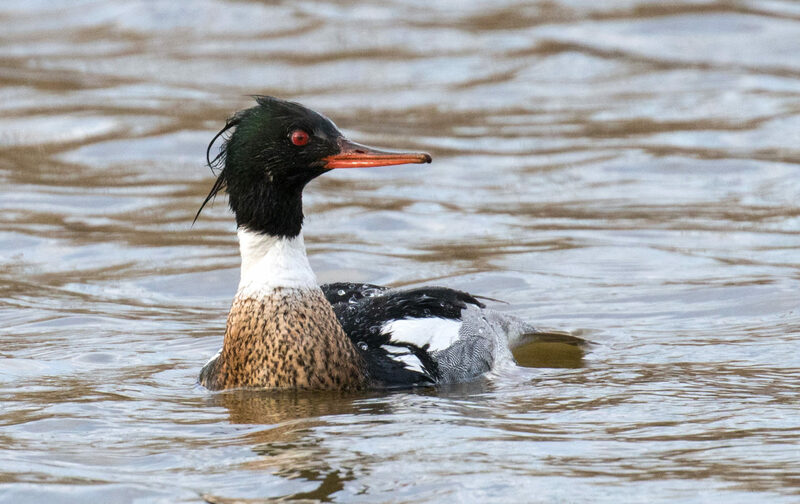 Licenses are granted by SNH to permit otherwise illegal activities so people can kill or control protected birds such as the red-breasted merganser, swift and grey partridge. SNH has also issued licences for species including bats and otters. In other cases, a licence was issued to allow rescuers to move a stranded whale into deeper waters and to move hedgehogs from one part of the Uists to another, to allow wading birds to breed successfully. They were also issued to prevent bird strikes on aircraft at airports and for scientists to fit electronic tags to birds of prey to monitor their movements. However, critics said that the total number sanctioned by SNH calls into question the agency’s commitment to ensuring that protected species are only killed or disturbed as a last resort. They also said that the taxpayer should not have footed the £450,000 bill for the licensing scheme which came out of SNH’s budget. The information released by SNH does not reveal how many species were actually killed as one licence can allow multiple killings, they added. The 2018 figure was revealed after a question was submitted to the Scottish Government by Scottish Greens MSP, Alison Johnstone, who argued that the data released “raises serious questions” about SNH and its commitment to protecting wildlife. “As the public purse is bearing the cost of this activity, it shouldn’t take repeated questioning and freedom of information requests to force a government agency to be transparent,” she said. She added: “It’s extraordinary that licensing for killing and disturbing protected wildlife is entirely funded by taxpayers. Duncan Orr-Ewing, from the Royal Society for the Protection of Birds in Scotland, pointed out that each licence will have a quota of birds that are allowed to be killed. But SNH argued there was compelling evidence that charging for licences would not be cost effective, claiming they could lead to increased incidence of wildlife crime. “Scotland has robust laws in place that protect and conserve our nature and wildlife. We only issue licences to suspend this protection in a small number of cases – such as for human safety or to improve our understanding of the best ways to conserve and protect species,” said an SNH spokeswoman. A version of this story was published by The Sunday Times on 15 April 2019. This is just the very tip of a large and nasty iceberg. As well as the c3000 licenses issued to kill protected animals and birds hundreds of thousands if not more of c 22 species of native birds are killed under the General Licence scheme where people only have to read the licence on line to obtain permission to kill unlimited numbers of birds. They do not have to ask permission to kill, they do not have to give their reason for killing and they do not have to record and report the number and species of birds killed. This scheme has been used by back garden corvid killers who trap magpies and crows and then kill them by bashing their brains in. They do this in the mistaken belief that they are helping song bird survive. Song birds and birds which prey on them have survived for tens of thousands of years without intervention by fools and a Government which panders to them. …and let’s not forget the licences issued by the Scottish Government to the salmon industry to kill seals and to disturb all marine mammals with Acoustic Deterrent Devices. “Lethal control is only used as a last resort”? I don’t think so.